BIG POWER, SMALL FOOTPRINT ~ Developed from the minds (and smarts) of NASA airflow engineers, the BreatheSmart FLEX cleans 700 SqFt every 30 minutes. To top it all off, our WhisperMax technology makes us twice as quiet as key competitors on Turbo speed. RECOMMENDED FOR ~ Allergies, Dust, Pollen & Dander. 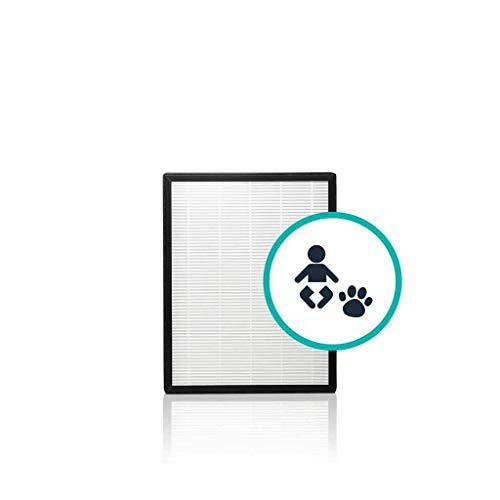 Our HEPA-Pure filter offers a high capacity HEPA layer to capture 99% of airborne particles down to 0.3 microns. Larger than those of our competitors, our best-in-class standard filter allows for long-lasting, powerful filtration that will leave your air feeling as pure as can be. BEAUTY MEETS BRAINS ~ 14 versatile designer panels to suit multiple tastes and decors. We're the only air purifier that looks right at home. GUARANTEED. 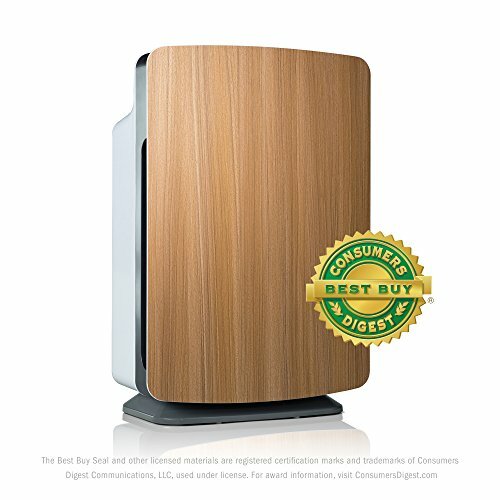 FOREVER ~ Our guarantee is unmatched by any other air purifier company. Period. For lifetime peace of mind. 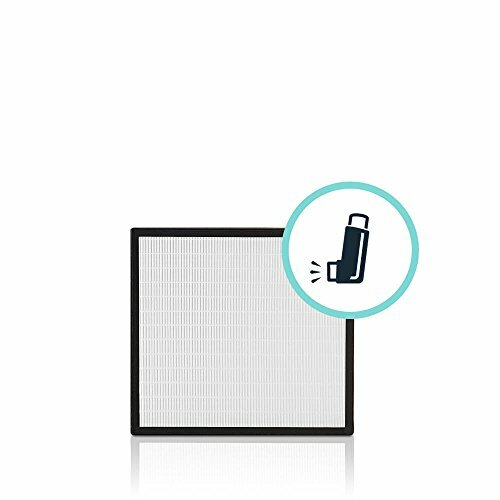 Perfect for living rooms, open concept rooms, and other large rooms up to 900 square feet, the BreatheSmart FIT50 with HEPA-Pure Filter technology addresses allergy, asthma, and dust concerns, purifying your air two times a hours. Alen FIT50 is fully customizable, offering four different filter types to accommodate changing air purification needs, and 14 panel color options to match your home decor. Filtration rate: removes 99% of particles greater than 0.3 microns. Alen FIT50 generates soothing "pink or red" noise, which helps cover disrupting sounds that can disturb your family's much needed sleep, so you can wake up refreshed and ready to start another active day. SIMPLE. ELEGANT. SMART. ~ We packed all of the features of the bigger BreatheSmart units into a sleek, modern package. Its space-saving frame combined with our proprietary noise-reducing WhisperMax technology make the 45i ideal for tighter spaces like apartments, nurseries, and laundry rooms. Perfect for any space up to 800 SqFt. INTUITIVE INTELLIGENCE ~ A Laser Smart Sensor detects the most minute airborne particles down to 0.3 microns and self-adjusts to address the challenges of your ever-changing environment. LED color display allows you to see your air quality at a glance. Don't wonder if it's working. Know it is. BREATHE BEAUTIFULLY ~ As attractive as it is powerful, choose from 14 versatile designer panels to suit multiple tastes and decors. Because style should never be at the expense of substance. GUARANTEED. FOREVER. 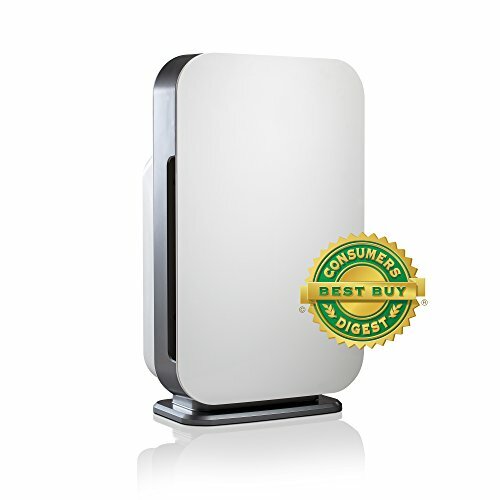 ~ The Alen Forever Guarantee is unmatched by any other air purifier company. For lifetime peace of mind. QUIETLY POWERFUL ~ The perfect large room solution. Backed by the smarts of NASA airflow engineers, the BreatheSmart 75i cleans 1300 SqFt every 30 minutes. In addition, WhisperMax technology makes it twice as quiet as key competitors on turbo speed. 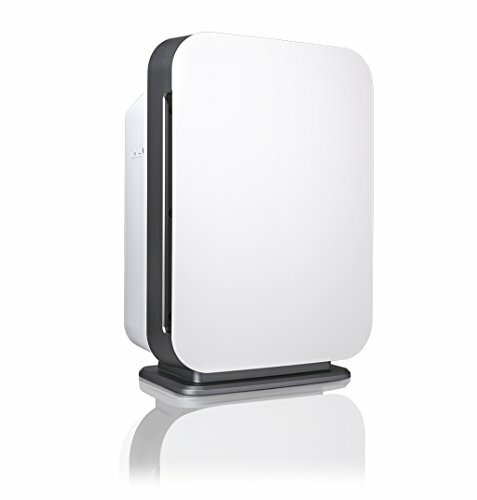 It's the air purifier you can actually live with. RECOMMENDED FOR ~ Allergies, Dust, Mold, Bacteria, Chemicals, Smoke, Cooking Odor. Offers a high capacity True HEPA layer to capture 99.97% of airborne particles down to 0.3 microns, while an antimicrobial layer captures and inhibits growth of bacteria and fungi. Packed with activated carbon to absorb harmful airborne particles including household chemicals, VOC's (Volatile Organic Compounds), smoke, and more. INTUITIVE INTELLIGENCE ~ A Laser Smart Sensor detects the most minute airborne particles and self-adjusts to address the challenges of your ever-changing environment. LED color display allows you to see your air quality at a glance. Don't wonder if it's working. Know it is. BREATHE BEAUTIFULLY ~ As attractive as it is powerful, choose from 14 versatile designer panels to suit multiple tastes and decors. Because you should never have to choose between style and performance. RECOMMENDED FOR ~ Allergies, Dust, Mold, Bacteria, Light Odors & Chemicals. BUILT FOR YOUR CONCERN ~ Our HEPA-Silver filter is coated with an antimicrobial compound that inhibits growth of bacteria and fungi. Also equipped with 1 full lb. of activated carbon to absorb harmful particles such as household chemicals, VOC's (Volatile Organic Compounds), and more. 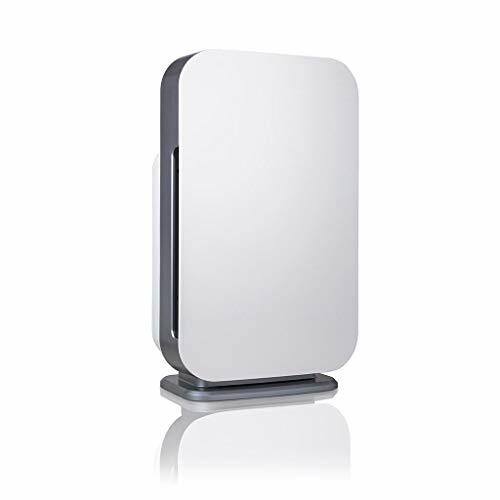 SINGLE REPLACEMENT ~ You'll receive 1 BreatheSmart Classic HEPA-Silver Filter. Upgrade to a 5-Pack or 10-Pack, and you'll receive a savings on your order for buying in bulk. NOTICE! 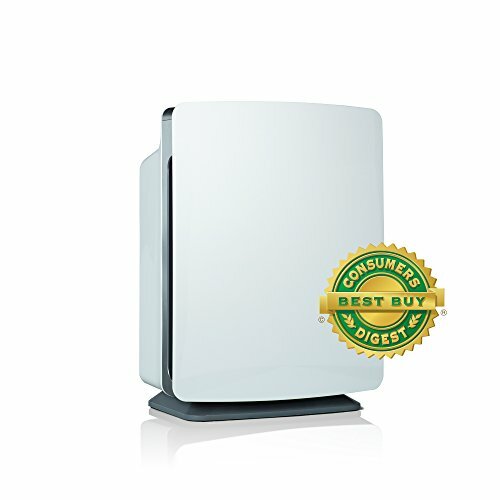 ~ FILTER FIT CHECK ~ This filter fits the BreatheSmart Classic Air Purifier. It does not fit other units in the BreatheSmart series of products. It does not fit BreatheSmart FIT50, BreatheSmart FLEX, BreatheSmart 75i or BreatheSmart 45i. Check your unit's control panel to determine which BreatheSmart series air purifier you own. RECOMMENDED FOR ~ Allergies, Dust, Pet Dander and Heavy Odors. BUILT FOR YOUR CONCERN ~ Equipped with a proprietary odor eliminating compound, our HEPA-OdorCell destroys unwanted household odors at the molecular level. Capable of tackling the toughest odors in your home, such as cat litter, puppy potty pads and even diaper smells. HEPA-OdorCell is your all-around pet solution. SINGLE REPLACEMENT ~ You'll receive 1 BreatheSmart FLEX HEPA-OdorCell Filter. Upgrade to a 5-Pack or 10-Pack, and you'll receive a savings on your order for buying in bulk. NOTICE! 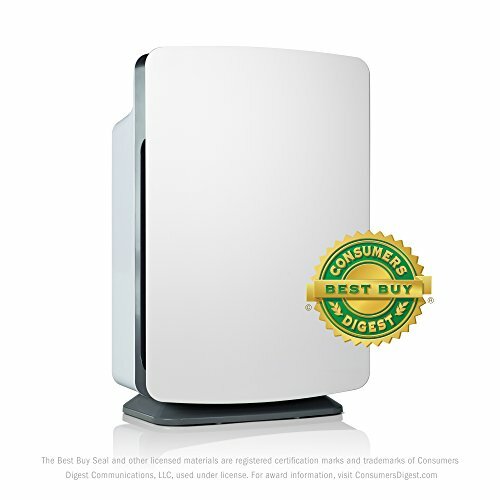 ~ FILTER FIT CHECK ~ This filter fits the BreatheSmart FLEX Air Purifier. It does not fit other units in the BreatheSmart series of products. It does not fit BreatheSmart Classic, BreatheSmart FIT50, BreatheSmart 75i or BreatheSmart 45i. Check your unit's control panel to determine which BreatheSmart series air purifier you own. Coway Mighty (AP-1512HH) is designed to accommodate room sizes up to 361 sq.ft (CADR: Dust 246 / Pollen 240 / Smoke 233 cb. ft.). 4 Stage Filtration System (Pre-filter, Deodorization filter, True HEPA filter, Vital Ion) captures and reduces up to 99.97% of particles 0.3 microns in the air, including pollen, pollutants and other allergens. It also reduces volatile organic compounds and reduces odor. 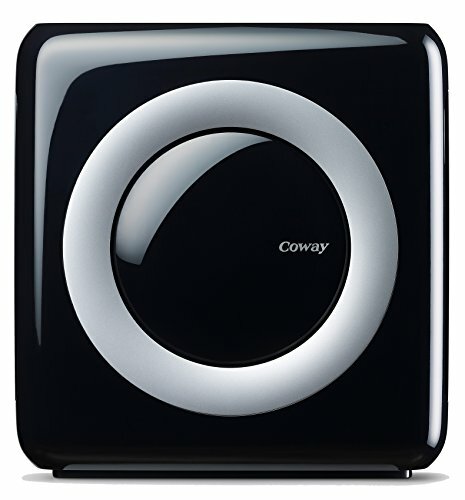 Coway Mighty pollution sensor communicates indoor air quality in real-time. The brightly colored LED lets you know how clean or dirty your indoor air is every minute of the day. And it features a timer, and filter lifetime indicator. Fan speeds available in 1, 2, 3 stages by manually setting up. While auto mode automatically optimizes the speed setting 1 through 3 based on the level of indoor air quality. 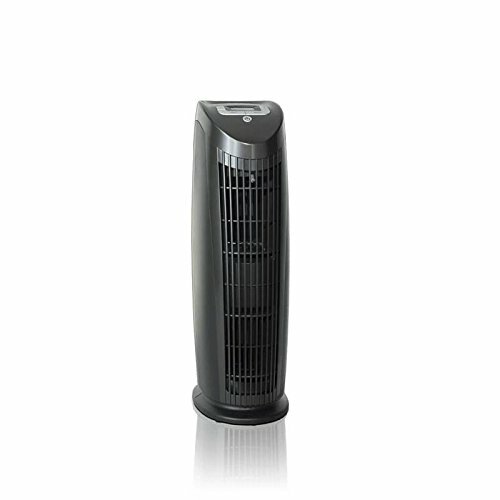 When no pollution is detected for 30 minutes, the fan will automatically stop and set as Eco mode to save energy. BIG ROOMS? NO BIG DEAL ~ Developed from the minds (and smarts) of NASA airflow engineers, the BreatheSmart Classic cleans 1100 SqFt every 30 minutes. Capable of tackling the largest spaces in your home, our WhisperMax technology makes us twice as quiet as key competitors on Turbo speed. RECOMMENDED FOR ~ Allergies, Dust, Chemicals, Smoke and Cooking Odor. 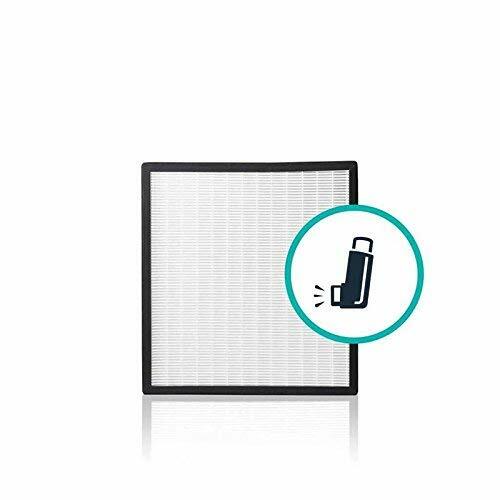 Packed with 2.7 lbs of activated carbon, the HEPA-FreshPlus filter absorbs a wide variety of harmful airborne particles including VOC's (Volatile Organic Compounds), household chemicals, smoke, and more. Protect your home from indoor pollution with this ultra-absorbent carbon solution. INTUITIVE INTELLIGENCE ~ Our Laser Smart Sensor detects airborne particles down to 0.3 microns and the Air Quality Indicator Light reflects your room's air quality in real time. In Auto-Mode, BreatheSmart self-adjusts its fan speed to address your ever-changing indoor environment. Sit back and breathe easy. We've got this. GUARANTEED. FOREVER. ~ Our guarantee is unmatched by any other air purifier company. Period. For lifetime peace of mind. Perfect for bedrooms, offices, and other rooms up to 500 square feet, the Paralda's distinct style combines beauty and performance for a unique airflow design that circulates and cleans your air of dust, pet dander, mold spores, pollen, and bacteria. 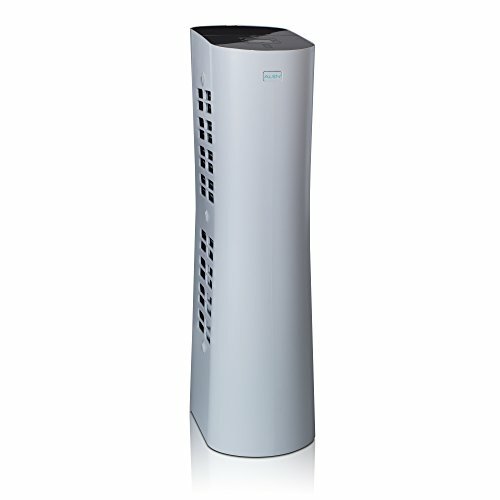 With a dual purified air venting system, room air enters through the rear intake of the high-performance air purifier, releasing clean, multi-filtered air through the room quickly and efficiently. Whether your concern is allergens, microbes, strong odors, or chemical pollutants, Alen offers four types of HEPA filters individually suited for your needs. With light-touch responsive buttons, the settings panel combines subtle, understated styling with intuitive controls for easy programming, ionization, and fan speed.